Finding competent company executives is a challenging process and hiring the wrong executive is a costly mistake. These are not positions you can simply throw onto a job board and hope for the best. Experienced and qualified executives are not, in general, surfing job boards and hoping to catch a break. Although we’ve just come through a time when there were more talented executives looking for new positions than usual, things are returning to normal, and the best and most competent executives are already working for someone else. Competence, in the context of executive traits, is the sum of that experience, skills, accomplishments, and performance in a leadership role. It’s an overall picture of an executive, comprised of observable and measurable abilities and achievements. The specific abilities, skills, and achievements that define competence for a given position obviously vary based on the organization who needs the executive. The metrics frequently include things like knowledge of specific technology, processes, or methodologies; educational benchmarks; industry knowledge; or quantifiable improvements that are demonstrably direct results of that executive’s efforts. Competence is the foundation an executive must have in order to succeed. While metrics that describe an executive’s competency offer a detailed picture of that person’s measurable abilities, they do not provide a complete picture. People are more than their abilities, and what you really need when you hire an executive is the right abilities in the right person. Clearly, you need to hire an executive who has the personality, temperament, and attitudes to fit into the corporate culture you have or want to build. Beyond all of these things, though, companies need executives with potential. It may sound strange to throw potential into a discussion of executives who are already near the top of their field, but consider how rapidly the business world is changing. Companies who are seriously planning for the future are diversifying and adapting to forces like globalization and developing markets. Executives who have potential are the ones who are going to lead their companies to evolve successfully, to innovate ways to capitalize on new opportunities as they present themselves, and to accurately predict where their company needs to be in the future in order to stay competitive and profitable. Recruiting an executive in today’s market takes a deep contact network and the finesse that only experience can develop. The executive recruiters at The Lawler Group have more than 40 years of proven success in finding the right executives for top companies. We’ve built that deep network over decades of relationships with local companies and employees, and through the global MRI Network. 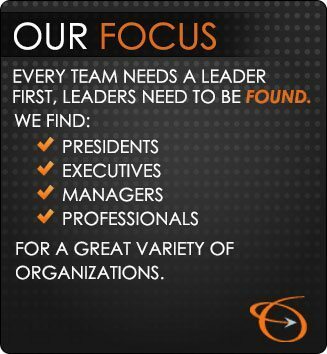 Contact us for your executive search and we’ll use those relationships to help you find the executive who will be a perfect fit today and build a stronger future for your company.